With many different formulas and finishes to choose from, finding the right foundation can be a little overwhelming. Organic and green beauty has come a long way in the last five years, and today there are multiple brands and products to choose from. First things first when selecting a foundation - coverage. Do you want light, medium or full coverage? The second step is deciding on your finish. In the same way that you need to find a shade to match your skin, the finish and formula need to suit your skin type. If you have an oily skin type, you might want to opt for a matte finish, as often, your skin's natural oils, combined with the foundation, will create a dewy sheen as the day goes on. If you have more mature skin, you'll want to stay away from matte, powdery foundation as this type of finish can give an ageing affect. Those with dry skin will need to look for a hydrating formula. I personally prefer a dewy finish for all ages, as it looks most natural and youthful. Once you've decided on your coverage and finish, you can then consider what formula you'd like - powder (loose or pressed), cream or liquid. You might also want to consider your climate — my skin type is normal (neither oily nor dry), so I can use almost anything, but when it’s really hot through Summer I prefer to go either really minimal or use a powder for extra staying power! Now, it's time to find your perfect foundation! This is a curated list of my most recommended organic & natural foundations — for a full list of safe, natural and organic brands you can check out The Healthy Glow. 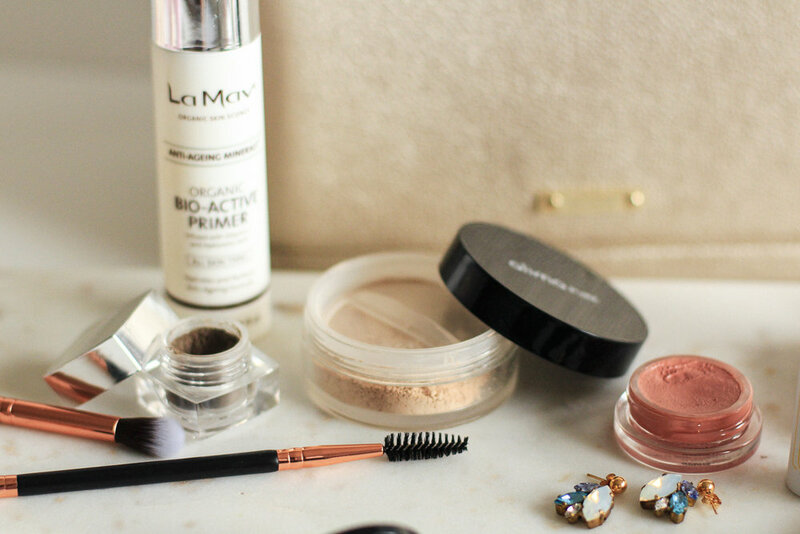 If you are like me, and usually hate mineral powders, then you'll probably love this. It is non-irritating and very lightweight - you'll feel like you’re wearing nothing but naked skin! The finish isn’t a dry, flat, matte finish — it looks just like healthy skin, so it works for almost any skin type. Another fabulous thing about Alima Pure's Foundation is the price point - for a natural, non-toxic foundation it is very affordable. And with 61 shades in four different undertones, there is a match for everyone. Tip: Using a cream foundation brush, you can mix your mineral powder foundation with your favourite facial oil to create your own custom cream or liquid foundation. You can have 2 in 1 without having to purchase anything extra! Highly nourishing, this certified organic foundation can be applied with the finger tips for lightweight coverage, or with a buffing cream foundation brush for fuller coverage. With ingredients such as Aloe Vera, Shea Butter and Jojoba Oil, this is perfect for dry skin types in need of extra TLC but works well for all skin types. Those with oiler skin or looking for more coverage can set with a powder for all day perfection. With coverage that is buildable from sheer to full, and so blendable that you can simply use to spot-conceal and leave the rest of your skin bare, this award-winning foundation truly is one of the best. The initial purchase price is certainly at the top end of organic beauty, however, as the compacts are refillable, the replacement price is equal to, or less, that a lot of other organic foundations. This foundation is nourishing and sets to an almost weightless, powder-like feel. This was one of my first green beauty purchases, and it was love at first sight. The creamy, nourishing formula melts into skin, leaving it dewy, blurring imperfections and correcting redness. This little pot of goodness is one of my must-haves. It is technically a concealer, but I also use it as a lightweight foundation that makes the skin look flawless and radiant, or I blend with the Kjaer Weis Cream Foundation for a dewy, full coverage finish. The small size makes it excellent for keeping in your handbag, but don't underestimate it - it will last you ages! This moisturising liquid foundation is best applied sparingly, and built up as needed for a light to medium coverage that blurs pores, corrects redness and creates a luminous glow. As this foundation consists of many organic oils, I don't recommend it for oily skin types, and suggest setting it with a powder for normal skin types or humid climates. It is very lightweight and feels very nourishing to the skin, and like the Alima Pure Foundation, has many different shades to choose from. This foundation is incredibly concentrated, and another of my all time favourites. With a dewy to satin finish, the serum blends seamlessly into the skin to give the complexion a healthy, luminous glow that always gets compliments. 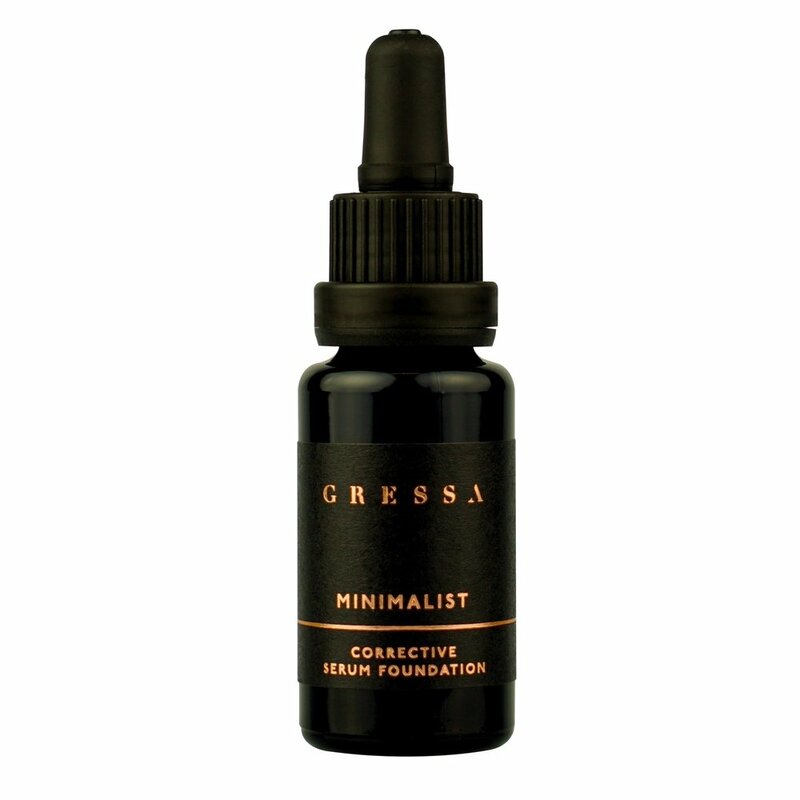 This Gressa Minimalist Corrective Serum Foundation works for all skin types, however, if you have dry, flaky patches it can cling to those, so make sure your skin has been exfoliated (24hrs earlier is fine) beforehand. That said, this foundation provides the most flawless full coverage finish with very little product required! Have you tried any of the above? What is your favourite foundation, or finish? RMS Beauty, Gressa and Kjaer Weis would certainly have to be my current personal favourites! If you've got any questions, you can leave a comment below.